So sad I’ve been not to be here at Pokey Mama that I couldn’t stand to look at the little tab on my Favorites bar with the mini PM staring forlornly at me from way out in cyberspace. If not now, when? she asks plaintively, or sometimes, when feeling bullish (in the Hemingway sense of the word) she thunders: Carpe diem! and then devolves into Robin Williams doing Billy Crystal: Seize something, for crying out loud—I’m dyin’ here. The last time I managed to loose myself from the pegs of everyday and visit Pokey Mama I exhibited hubris. (I know, what else is new?) Not only did I malign a beloved children’s book (although judging from the response I got, perhaps more feared than loved) I also had the temerity to talk about balance in a way that suggested I, Pokey, was experiencing said state. That was a month ago. 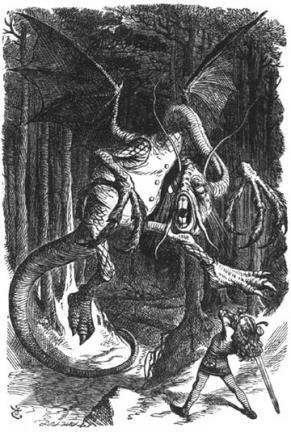 My, my, how time and the Jabberwock doth fly. Maybe you never noticed, but the tiny subhead on my masthead includes the word worker. I chose this honorific as a nod to my socialist, union-loving, bohemian upbringing, but also as a tip of the hat toward parenting as a job, and a full-blown curtsy to those who parent and work outside the home as well. We don’t much think of ourselves as workers anymore; it’s a term that belongs to a different time. It’s not just the blue-collar connotations (remember when we had blue-collar jobs? ), it also has that American Dream tingle: a worker is engaged and productive, makes something and is part of something, a worker has a future. Most of us who have a job in The Great Recession are feeling pretty damn lucky, and afraid. Those who don’t—just pretty damn afraid. But it’s like head lice—everywhere, and nobody wants to talk about it. I found lice on my son this week. Fifty dollars, eight loads of laundry, endless vacuuming, a haircut and two hours of nitpicking later, we were in pretty good shape. Well, he was. This morning I woke up with a sinus headache so brutal I could barely open my eyes. I’m in bed now, writing this. I know it will make me feel better. When I told people about the lice, they said, “Well, better lice than bedbugs.” Yep. And a big shout-out to Dow, Monsanto and Pfizer for that. As I move about in my theoretically middle-class orbit of work and school and work and email and not-enough-time-outside, what I’m missing most on planet pokey is this—following paths that possibly lead nowhere. Making mistakes. Making something from nothing. Making something worthless because it gives me pleasure. Acting stupid. Wasting time. Taking risks. And possibly my favorite: Making a Big Deal Out of Nothing. The last time I brought a poem to my “critique” (AKA wine-drinking) group they really liked it, but nobody could say what it was “about.” Possibly it was about nothing, but I suspect it was about what I’m talking about now. The “triggering subject” (as Richard Hugo would say) was an email from a fancy literary mag with a call for poems to fit phone apps. Write a poem that fits on a screen. I chewed on this for a while, and talked to a friend about it and we took a walk. We weren’t going anywhere, just walking and talking. (See Big Deal Out of Nothing, above.) She said: You need to write a poem about that. on a smooth, igneous stone. love. Don’t ever lie to the poem. Write a poem in ivory. Write a poem that’s rare, hunted, quarantined. all last week until the weather broke. Write a poem that’s broken. Fix the poem with cardboard, toothpicks and glue. Make a frame for it, a little mat to stand on. Write a poem that’s bored. say your name in its sleep. Put the poem in a low power state. Pretend you’re too busy for the poem. You never liked the poem. It never fit. I hope that I won’t have to get sick again to find time to come back to Pokey Mama. But I don’t know—the money beast has me in its teeth. Love this one. Great poem. I wish I could be part of your wine-drinking club. Workers are good (as a fellow reddish-diaper baby), and as for lice, we’ve had it twice, and just in case you don’t know this, the best product is called Lice Freeee and it really works. Was just thinking about this “making something” this morning while reading about the amazing capsule that NASA engineers designed and built to rescue the miners trapped in Chile. If only I were an engineer and could build something that would SAVE people, I would be living a worthwhile life. Thanks for reminding me that making poems, songs, books, mothering – including head lice riddance- all make for a worthwhile life too. Hope the MAN doesn’t keep you from posting here soon. I love to read the Pokey wisdom. It’s taking me awhile to really understand this, but in the vein of the Bread & Puppet Theatre’s manifesto, I believe that being an artist and making our potentially “worthless” uncommodified work is an act of spiritual and economic resistance! Welcome back Pokey M! Even not feeling well you can really dish and deliver! As one of the bonafide members of the wine drinking poets who loved your poem the first time she heard it (and perhaps only a tad under the influence) I’m equally happy with it now, reading it early of a Sunday morning while sipping tea. Must I remind “It’s Not About About?” It’s not about about. Your poem does what good poetry should – dip and spin, bring in the whole world in a basket, on a rose, crusty, broken, cloud-like. I’m glad you found your way to it. Even better that the poem arose from something as ridiculous as the literary mag looking for poems as phone apps. Yahoo for making a big deal out of nothing!